Our Story Serving the Mid-Atlantic since 1989. Virginia Dry Cleaning & Laundry Equipment Inc. is a full-line sales and service provider for the dry cleaning, commercial laundry, and other related industries. Our business began in 1989 as an installation and service provider to professional dry cleaners and launderers in the Mid-Atlantic region. In 1990 services were expanded to include the sale of dry cleaning, shirt and laundry equipment, parts, garment conveyors, high pressure steam boilers, return systems, blow-down separators, vacuums, air compressors, water heaters, and related boiler room equipment. In addition to these lines we also provide chillers, evaporative cooling towers, spot cooling systems, and water conservation equipment. Since 1989, our goal has been to assist our customers and friends in the industry to get the best return and productivity from their dry cleaning, pressing, and laundry equipment, and to provide them with prompt, reliable repair service and parts when they need them. 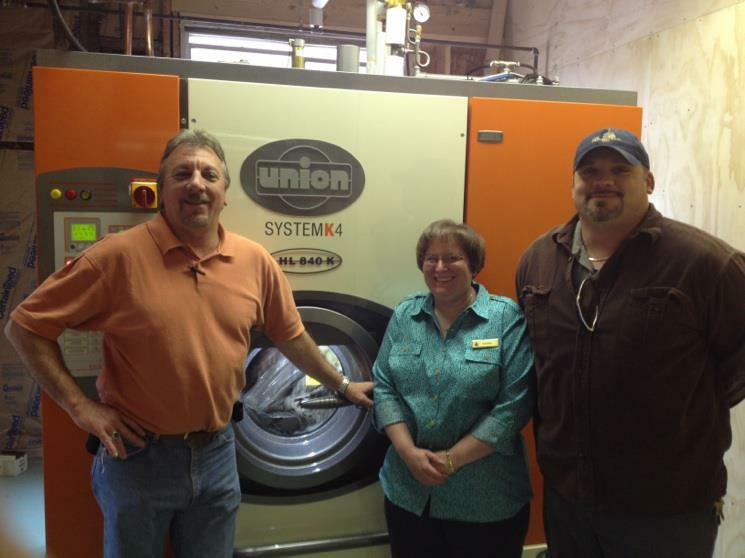 Virginia Dry Cleaning & Laundry Equipment Inc. is an authorized distributor for many of the world’s leading manufacturers, including Union Dry Cleaning Products line of dry cleaning machines. Our dedicated team of professionals specializes in dry cleaning, pressing, and laundry equipment sales, installation, repairs, parts, maintenance, and energy efficiency. When it comes to your dry cleaning and laundry department, you need a partner you can count on. Virginia Dry Cleaning & Laundry Equipment Inc.’s commitment to excellence is known industry wide and is the reason why our growing family of customers wouldn't think of going anywhere else. "The crew is professional, prompt and they stand behind their equipment and workmanship."